Regardless of the terrible weather and the poorly timed tidal conditions, this year's main event was completed. The students did a terrific job in carryout most of the fieldwork! This year, like last year, members from Ehime University, Lab, Fisheries Food Hygiene Lab, and us took part in the cruise. However, this year Dr. Manda's group also joined the cruise. 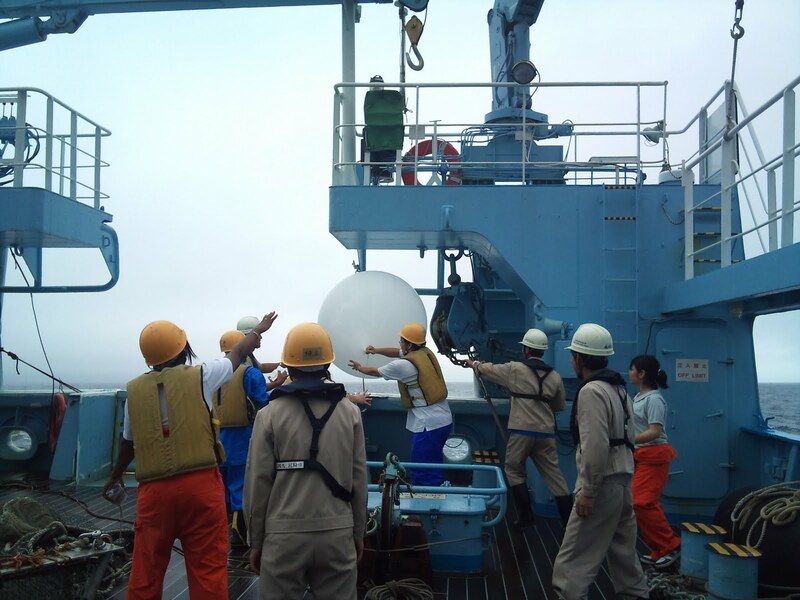 They are interested in examining weather patterns and oceanographic phenomena, so all throughout the cruise, they launched weather balloons and fired disposable CTDs. GPSを装備した温度・湿度ロガー。A GPS equipped temperature and humidity logger. From Nagasaki to Naha, the students of the group fired away at hourly intervals, as we passed trough the weather front. Once we reached Naha, it was now our chance to do some fieldwork. 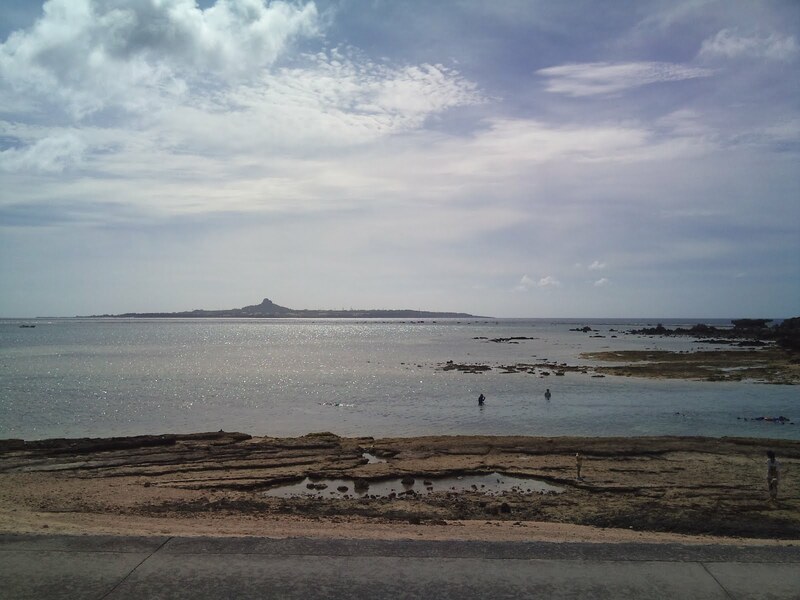 We went to Cape Bise, which is North of the Churaumi Aquarium. You can see Iejima from the beach and in the water, there are a variety of seagrasses, including Thalassia hemprichii. There are a diverse variety of fish and corals as well. 備瀬岬（N 26.70852, E 127.87838）　Cape Bise. We spent about 90 minutes skin-diving then rushed back to Naha City to return the rental car. Then we had dinner with Dr. K, her friend, and the Takano "The Blackhole" near the Okinawa Prefectural Offices. I think Mr. K (my student) had a really good time, since he remained all excited even when we return to the Nagasaki-maru. I think he ended up drinking all of the awamori that he was planning to bring back as a gift, since there was an empty bottle in the morning. I have more photos, which I will post in the near future.